This week we said goodbye and good luck to June Henderson, one of our Honorary members. 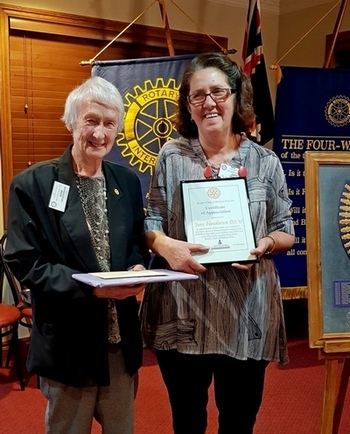 June has been involved with Ballarat East for almost 50 years, firstly through her late husband John and in later years through DIK. She has helped us greatly with sorting books and working at the Book Bonanza. June is leaving Ballarat to be closer to her family. We will miss you June!